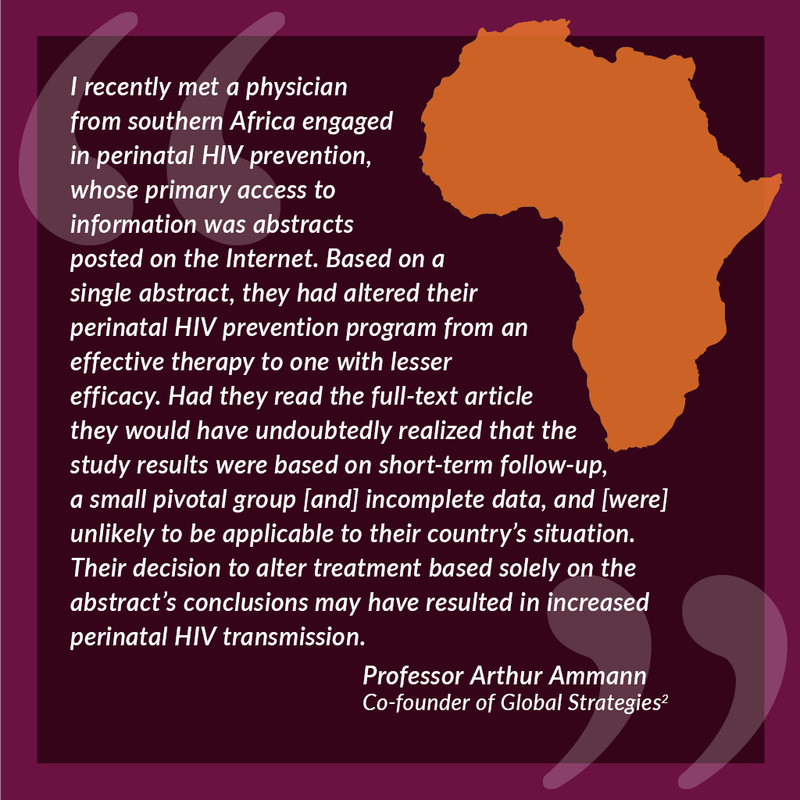 The arguments in favor of open access, in terms of unrestricted and equitable access to the results of medical research, are widely aired.1 However, sometimes personal stories have the biggest impact and, for me, the true importance of open access was brought home by Professor Arthur Ammann, Co-founder of Global Strategies for HIV Prevention. Professor Ammann’s story shows how creating an accessible abstract while restricting access to the full article has the potential to create serious issues for doctors and patients. Although abstracts easily disclose the efficacy benefits of clinical trials, the safety concerns and limitations of a study can often be found only in the main body of a research article. When an article is published in a subscription journal, this information lies behind a paywall, and the non-subscriber reading the abstract alone may be unable to make a fair and balanced assessment of a new treatment. As healthcare communicators, we have a duty to ensure the transparent and effective reporting of clinical data. I find myself asking why we are not doing more to ensure that all the relevant information in a research article is available to everyone who needs it. I find myself asking why we are not doing more to ensure that all the relevant information in a research article is available to everyone who needs it. What does this all mean to us in the pharmaceutical industry? At the inaugural meeting of Open Pharma at the Wellcome Trust in January 2017,5 we brought together a diverse mix of stakeholders to see what role our industry should play in helping to advance the publication of science. The participants gave us a clear message: as the pharmaceutical industry funds up to half of all medical research, it should join other research funders in requiring that the research it funds be published open access. Shire became the first pharmaceutical company to introduce a mandatory open access policy, in January 2018,6,7 with others interested in following their lead. By mandating open access for all articles, pharmaceutical companies can proactively avoid criticism, such as that they only pay for open access for studies with positive results. I firmly believe that open access is the future for publishing industry-funded research. Many pharmaceutical companies already encourage the research they fund to be published open access whenever journals allow. So, what is the added value of mandating open access for all articles reporting research? Open access increases discoverability of research articles, for example by allowing researchers to find clinical trial registration numbers that are only given in the full text. Open access also allows readers complete access to the entire publication, including strengths and limitations, detailed safety data, funding sources, and author disclosures, as discussed above. 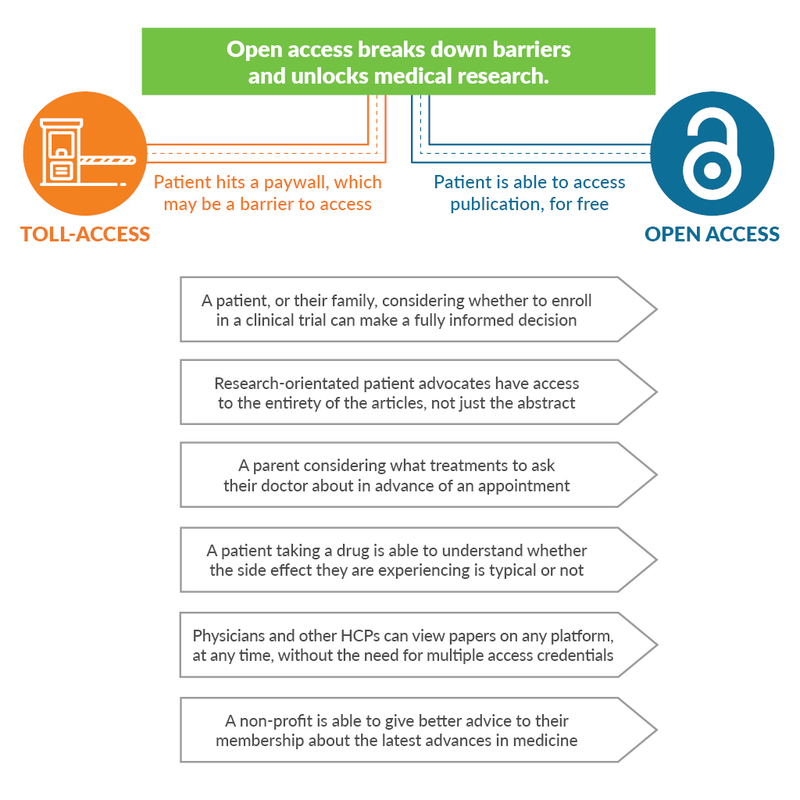 By increasing accessibility, open access also appears to increase impact, whether measured in terms of citations or online/social media attention.1 By mandating open access for all articles, pharmaceutical companies can proactively avoid criticism, such as that they only pay for open access for studies with positive results. Of course, anyone advocating for change should pay attention to the law of unintended consequences. My biggest concern is that drastic changes in publishing may damage the scholarly publishing ecosystem. In a world of declining trust in authority, reputable journals with high-quality peer review processes are more important than ever. Yet, despite the uncertainty surrounding open access publishing, simply doing nothing may pose the biggest risk of all. As other research funders mandate open access, industry is being left behind. None of us wants to see a world in which medical research is published in different journals governed by different rules depending on whether it had industry or non-industry funders. Working together, we can maximize the disclosure of industry-funded research while maintaining the healthy scholarly publishing ecosystem on which such disclosure depends. I believe that the transition to open access is inevitable. To maximize the benefits of this transition while managing the risks, we need to see increased communication between stakeholders working in forums such as Medical Publishing Insights & Practices (MPIP), International Society for Medical Publication Professionals (ISMPP), and Open Pharma. Working together, we can maximize the disclosure of industry-funded research while maintaining the healthy scholarly publishing ecosystem on which such disclosure depends. To learn more about open access, take a look at the excellent MPIP Open Access Reference Site and, to stay up-to-date with recent developments, subscribe to the Open Pharma blog. Tennant JP, Waldner F, Jacques DC, et al. The academic, economic and societal impacts of open access: an evidence-based review. F1000Res. 2016;5:632. The PLoS Medicine Editors. The impact of open access upon public health. PLoS Med. 2006;3(5):e252. Larivière V, Sugimoto CR. Do authors comply when funders enforce open access to research? Nature. 2018;562(7728):483-486.
cOAlition S - Making full and immediate Open Access a reality. Science Europe. https://www.coalition-s.org/feedback/. Accessed December 14, 2018. Winchester C. Embracing change in medical publishing: The Open Pharma Project. The MAP Newsletter. https://ismpp-newsletter.com. October 30, 2017. Accessed December 13, 2018. Shire continues to uphold high standards of ethics and transparency with adoption of open access policy for publication of Shire-supported research [press release]. Cambridge, MA: Shire; January 23, 2018. Accessed January 3, 2019. Shire announces new open access policy. The MAP Newsletter. https://ismpp-newsletter.com. January 30, 2018. Accessed December 14, 2018. In 2008, I joined Nature Publishing Group (NPG) to find myself at the leading edge of a new movement within traditional subscription-based publishing towards an open access model. Refreshingly, the emphasis was on building a positive view of open access, rather than reacting to it as a threat; we felt that it represented a major opportunity and benefit to the wider scientific community. The following year, NPG significantly expanded its open access author choices,4 through both “green” (self-archiving) and “gold” (author-pays) publication routes. Then, Nature Communications was announced as the first Nature-branded online-only journal with an open access option. Buoyed by a new confidence, my team launched 11 new fully open access journals over a period of 4 years. Overall, much was made of author choice and being cognizant of the increasing open access mandates of research funders such as the Wellcome Trust. The pace of open access development at NPG did not relent. In 2014, the Nature Partner Journals were announced7 as a new series of online open access journals, published in collaboration with world-renowned international partners, including The Scripps Research Translational Institute and NASA. The next year, Springer and Nature merged to bring BioMedCentral into the fold. More recently, a pivotal moment for open access in clinical trials publishing, led by Oxford Pharmagenesis, was the launch of the Open Pharma8 initiative. This is a joint initiative of forward-thinking pharmaceutical clients, publishers, patients, academics, regulators, editors, non-pharmaceutical funders, and societies to identify the changes needed for wider open-access adoption and how that might be achieved. On the back end of this initiative, and in a drive towards greater transparency, Shire Pharmaceuticals9 announced at the 2018 European Meeting of ISMPP that it would implement a policy whereby results of Shire-sponsored studies would only be submitted to journals that provided open access to the full text. Shire’s focus on rare diseases was a key factor behind the decision, as transparency is particularly important when it comes to advancing new therapies for treating the 7,000 or so identified rare diseases that still, in most cases, have no treatment options. Shire’s move will hopefully provide the impetus for other pharmaceutical companies to follow suit. 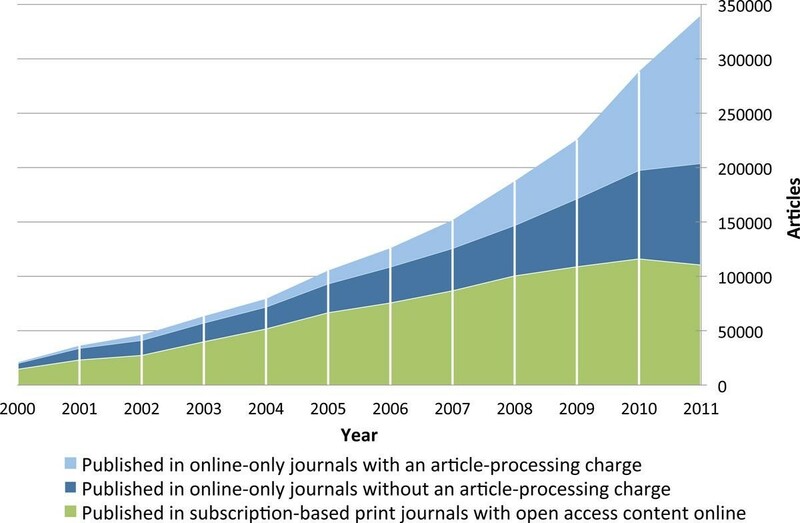 So, looking back on the last 10 years, the open access landscape has dramatically changed and for the greater good. A new generation of millennial clinical and scientific researchers have now fully embraced open access and regard the subscription-based, firewalled publishing model as a huge anachronism. Hopefully, within the pharmaceutical industry, threat has been superseded by opportunity to serve the greater good of scientific and healthcare advancement. Over the next 10 years, I foresee an even more rapid advancement of open access and data transparency supported by new technologies, particularly artificial intelligence and machine learning. Keep a close eye, because things will move quickly to enable greater transparency, accountability, and efficiencies. Harnad S. Open Access: "Plan S" Needs to Drop "Option B." Open Access Archivangelism. http://openaccess.eprints.org/. September 14, 2018. Accessed November 7, 2018. Willinsky J. The publishers’ pushback against NIH’s public access and scholarly publishing sustainability. PLoS Biol. 2009;7(1):e30. Davis P. Open access and vanity publishing. The Scholarly Kitchen. https://scholarlykitchen.sspnet.org/. October 21, 2009. Accessed November 7, 2018. Expanded green and gold routes to open access at Nature Publishing Group [press release]. London, UK: Nature Publishing Group; January 22, 2009. Accessed November 7, 2018. Delahunty M. Future trends in maximizing impact of medical publications. Keynote presentation at: International Society for Medical Publication Professionals 7th Annual Meeting; April 4-6, 2011; Arlington, VA. Accessed November 7, 2018. Laasko M, Björk BC. Anatomy of open access publishing: a study of longitudinal development and internal structure. BMC Med. 2012;10:124. Nature Partner Journals, a new brand of open access journals [press release]. London, UK: Nature Publishing Group; April 2, 2014. Accessed November 7, 2018. Winchester C. Embracing change in medical publishing: The Open Pharma Project. The MAP Newsletter. https://ismpp-newsletter.com. October 30, 2017. Accessed November 7, 2018. Shire continues to uphold high standards of ethics and transparency with adoption of open access policy for publication of Shire-supported research [press release]. Cambridge, MA: Shire; January 23, 2018. Accessed November 7, 2018. Not long ago, we called the people taking part in clinical trials “subjects.” Only recently have we begun to change our language and attitude and started to treat the people who volunteer their time and risk their health to support scientific research as true participants. These changes are happening because people living with illness (including patients, parents, and caregivers) are increasingly“We are still blocking patients and caregivers from becoming better informed when we publish our research behind paywalls.” being invited to participate in and make decisions in scientific grant committees, FDA advocacy panels, medical conferences, journal peer review, protocol design, and even co-producing research1. But whether wittingly or not, we are still blocking patients and caregivers from becoming better informed when we publish our research behind paywalls. As an industry, we need to stop. And if you’re reading this, you are the best placed person to make that happen. Why do we need better informed and educated patients? Aside from the fact that better informed and educated patients achieve better outcomes2, patient involvement in research has been particularly beneficial in clinical trial design, wherein one analysis of financial value suggested a 500-fold return on investment, equivalent to accelerating a pre-phase 2 product launch by 2.5 years3. Given all that, it remains perplexing that when an innovative life sciences company invests billions of dollars into research, the vast majority of outputs into the peer-reviewed literature demand “toll access.” That means an activated and engaged patient or caregiver trying to delve into a company’s scientific outputs is asked to pay around $35-$50 for the privilege of reading or even just “renting” an article that could better inform or allow them to take actions that would help the company achieve their goals. Say you were the parent of a child living with multiple sclerosis. An impressive industry-sponsored study was recently published comparing 2 drugs for children living with multiple sclerosis in the prestigious New England Journal of Medicine, featuring 215 participants from 87 centers in 26 countries over the course of 3 years. Would you like to read it? For $20 you can rent it for 24 hours. Readers will know better than I just how much such a study must have cost its sponsors. Asking some of the most interested yet most vulnerable people to shoulder the burden seems galling. Although the cost of an individual article may seem low, for many people with a chronic illness, the financial impact of living with the disease is itself a hardship4. While we don’t know how many patients simply give up when they hit a paywall, we can see that patient-orientated open access articles in otherwise closed-access journals often receive many times more views. “ALS Untangled” is an open-access series in the subscription-based journal Amyotrophic Lateral Sclerosis and Frontotemporal Degeneration. Articles in this series regularly receive between 2,000-20,000 views in contrast to only a few dozen or hundreds of views for articles behind the paywall. It’s not just patients, but also front-line clinicians, allied health professionals, researchers, journalists, and people working for non-profits who may not be able to read, cite, and build upon these hard-fought research outputs. Even well-resourced universities have had to tighten their libraries’ budgets and stop paying for expensive journal subscriptions. Many journals now offer a range of open-access options, and article publishing fees are around $2,000-$3,000 per article, breaking down the unnecessary toll booth, providing a sustainable business model for publishers, and increasing the free flow of high-quality information. Angry yet? You should be! What were the last few trials that everyone at your company really celebrated? Busy doctors and their patients are often attempting to access the results of these studies on personal smartphones as they run between meetings and appointments. Try to access the full text of the article reporting the results on a personal smartphone or computer, off your company’s network. Could you read it in one click? 10? Did you need to register? Pay money? Was it so frustrating that you gave up? Welcome to the patients’ world. Make it your mission and ensure that you and your company become advocates for the value of open access to patients and healthcare professionals. Wicks P, Richards T, Denegri S, Godlee F. Patients’ roles and rights in research. BMJ. 2018;362:k3193. 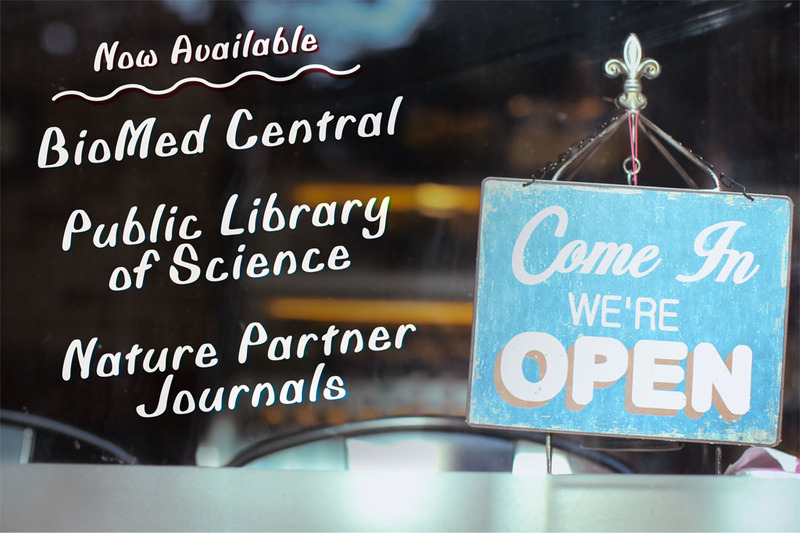 Growing advocacy for transparency and access to results of clinical trials has prompted considerable debate on the topic of open access publishing and highlighted a lack of common understanding of what open access is, why it is important, and how it works. 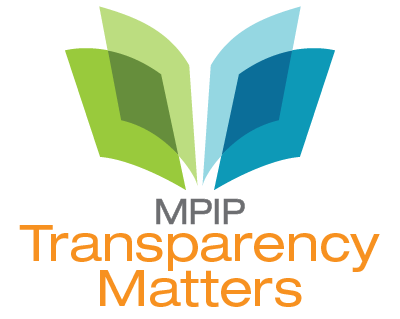 Consistent with our goal of promoting greater transparency in industry-sponsored publications, MPIP has developed an Open Access Reference Site and blog series to raise awareness of open access, including its importance in meeting shared transparency goals. The Open Access Reference Site includes answers to frequently asked questions on open access publishing, and our blog series will feature expert insights on open access. Paradoxically, peer review, which is at the heart of science, is largely a faith‑based rather than evidence‑based activity. Peer review had been studied hardly at all until the late 1980s when the International Congress on Peer Review and Scientific Publication, a conference held every 4 years, began. Research shows that peer review is slow, expensive, somewhat of a lottery, poor at detecting errors, prone to bias, and easily abused. Highly original science is often rejected by peer review, leading some to consider the process as anti-innovatory and conservative. Extensive examination of the existing research in the form of 2 systematic Cochrane reviews1,2 did not find peer review to be effective, although we must remember that absence of evidence of effectiveness is not the same as evidence of ineffectiveness. Despite the evidence and challenges, peer review of manuscripts continues on a massive scale, consuming a large amount of resources. Traditional peer review is single-blind in that the authors do not know the identity of the reviewers but the reviewers know the identity of the authors. This model probably still accounts for most peer review, although the number and nature of the reviewers varies considerably. There is also considerable variation in how much the reviewers contribute to the final decision on publication. In double-blind peer review, the reviewers are also blinded to the identity of authors. Large-scale trials of this double-blind of peer review failed to show the benefit of this practice and were followed by steadily opening up the peer-review process. Some methods of open peer review allow authors to see the reviewers’ names and comments, while other methods publish all the comments along with the paper. The most open of peer-review models conducts the whole process online, in full view of the readership. Perhaps the most cutting-edge innovation in peer review is open peer review that takes place after publication. This model of peer review is shown by F1000Research and accompanying “journals” like Wellcome Open Research and Gates Open Research. After a preliminary check of the studies, including ethics committee approval and confirming compliance with standard publication guidelines, the papers are published online together with all the raw data. Peer review takes place after this online publication. “Perhaps the most cutting‑edge innovation in peer review is open peer review that takes place after publication.” The authors select reviewers from a database or may suggest their own reviewers based on established criteria—such as being academics of certain standing (ie, full professor). Reviewers are asked to comment not on the originality or importance of the study, but simply on its methodologic soundness and whether the conclusions are supported by the methods and data. 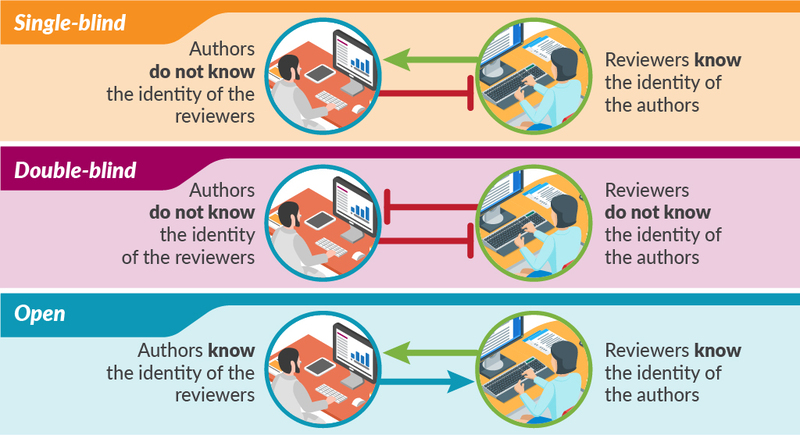 Once the reviews are posted, authors and readers can see both the reviews of the published paper and the identities of the reviewers. After publication, anybody can post comments at any time. Authors have the opportunity to respond to reviewers’ comments or point out where reviewers have misunderstood the study. Peer review becomes less of a one-time judgement and more of an ongoing dialogue aimed at ensuring the best possible paper is published. While there are many innovations in how the peer review is conducted, sadly, there doesn’t appear to have been a rigorous evaluation of the effectiveness of these innovations. Nevertheless, peer review is evolving: the process is opening up, full data sets are being included, and authors are expected to declare their contributions and conflicts of interest. Generally, there is more interest in the science of science publishing. Jefferson T, Alderson P, Wager E, Davidoff F. Effects of editorial peer review: a systematic review. JAMA. 2002;287(21):2784-2786. doi:10.1001/jama.287.21.2784. Wager E, Middleton P. Effects of technical editing in biomedical journals: a systematic review. JAMA. 2002;287(21):2821-2824. doi:10.1001/jama.287.21.2821. Smith R. Classical peer review: an empty gun. Breast Cancer Res. 2010;12(suppl 4):S13. doi: 10.1186/bcr2742. Spicer A, Roulet T. Explainer: what is peer review? The Conversation.http://theconversation.com/explainer-what-is-peer-review-27797. Published June 18, 2014. Accessed July 16, 2018. Although the term ‘predatory publishing’ wasn’t coined until Jeffrey Beall notoriously introduced it in 2011, the notion that open access (OA) was undercutting or even corrupting the quality of scholarly publishing goes back to at least 2007 with a campaign led by Eric Dezenhall on behalf of some large commercial subscription publishers. The result was the ‘Partnership for Research Integrity in Science and Medicine’—PRISM—which set out to question the quality of articles being made freely available and to push back on the first stirrings of public and OA mandates by funders. At the time, I had been a professional editor for 9 years, in sole charge of an Elsevier journal before moving to PLOS to help launch and run some of their OA journals. Despite changing business models, there was no difference in the rigour with which I conducted peer review. Fortunately PRISM backfired and sank without trace, but the myth that OA somehow meant predatory, and either low quality or no peer review, has stubbornly and erroneously persisted. This is not to say that fraudulent practices do not exist—they do and should be taken seriously—but they are not unique to OA journals and they should not be seen as a product of the model. The vast majority of OA journals and articles are rigorously peer reviewed and hosted by publishers and editors who genuinely care about the integrity of science. As pointed out by Angela Sykes in a previous post in this series, the Directory of Open Access Journals (DOAJ) has stringent criteria for a journal to be eligible on their list. There is also a set of principles, created through a partnership of the Committee on Publication Ethics (COPE), the Open Access Scholarly Publishers Association (OASPA), the DOAJ, and the World Association of Medical Editors (WAME), that publishers wishing to join these organisations must adhere to. For several years I was chair of the OASPA membership committee. Many of the applications came from independent scholars from all over the world trying to set up reputable journals in their field. What they lacked, as researchers, was training on how to go about it—an understanding of what running peer review actually entailed, the checks required before peer review can even start, and the licensing, copyright, infrastructure, and metadata required to make content discoverable (the need for DOIs, for example). It was incredibly rare to receive an application that was not genuine. Much of the work of the committee was, and remains, about education. All publishers have a responsibility to provide a high-quality rigorous service for their authors, editors, reviewers, and readers. There is no doubt that there are problems and corrupt practice in journal publishing, and researchers need to be confident in the credibility of a journal and publisher before they submit. We need, however, to get away from the idea that there is a dichotomy between good and evil in scholarly publishing, that there is either predatory or good practice—and that OA equates with the former. Indeed, a study by Olivarez et al. this year showed that when three researchers tried to independently apply Beall’s criteria to a number of journals, they found that not only could they not identify the same journals as each other, but that their lists included many traditional ‘top-tier’ journals. In our digital age, the meaning of quality is changing. OA and the increasing focus on transparency, collaboration, trust, and discoverability in open science means that journals, publishers, and indeed all stakeholders involved in scholarly communication need to up their game. Peer review itself is no guarantee of quality, as the increasing number of retractions because of fraud can attest to, including from very high-profile, reputable traditional journals. The greatest challenge is not ‘predatory’ publishers, it is the culture in which research currently operates and the focus on the journal as a proxy of researcher quality. What quality means depends on context and who is doing the evaluating. Moreover, we need to value and evaluate all the varied contributions that researchers provide to science (including their contributions to peer review) and to the wider knowledge system. Publishers, institutions, and other stakeholders can sign DORA as a commitment to this. We also need to put safeguards and training in place for researchers where bad practice exists, such as the recently launched ‘Think, Check, Submit’ campaign, which aims to raise awareness among authors about what to look for in a journal before entrusting it with their work. But this applies to any journal. It is time to get away from the polarised, simplified dichotomy between predatory and good research, or subscription and OA publishing, and focus on what really counts (see Figure). Most importantly, is it possible for others, including machines, to reuse the information so that my work can potentially contribute to the public good for the benefit of science and society? Acknowledgement: I would like to thank Helen Dodson, whose presentation at UKSG 2018 pointed me to several references and helped inform this post. To complement the blog series on predatory journals and congresses, MPIP caught up with Patty Baskin to gain her expert insights on threats posed by predatory journals and what authors and publication professionals can do to protect their work. Patty Baskin is the Executive Editor at the American Academy of Neurology and immediate past president of the Council of Science Editors. Visit the MPIP YouTube Channel to view the video of the interview today! Predatory publishers are a threat to scientific integrity as they make it difficult to demarcate sound science from fake science that can be damaging to public health. This article brought the problem of predatory journals and publishers to the forefront at Pfizer and increased our awareness of this growing problem. Since then we have taken steps to address this issue by increasing colleagues’ awareness of predatory journals, publishers, and congresses, and making changes to our publications software application such that it is easier to identify OMICS journals before they are imported into the system. We are also researching subscription-based tools such as the Journals & Congresses database, which has stringent criteria for inclusion. Some organizations have already taken action. In 2014, the Directory of Open Access Journals (DOAJ) developed more stringent criteria for indexing and required journals to reapply for inclusion and, in November 2017, the National Institutes of Health (NIH) issued a statement requesting that NIH-funded research be submitted to reputable journals to help protect the credibility of papers arising from its research investment. Please note that the content of this blog post was prepared by me, Angela Sykes, in my personal capacity. The opinions expressed in this presentation are my own and do not reflect the views of Pfizer. Most of us are aware of “predatory” journals and congresses that promote themselves as legitimate but practice deceptive or exploitative practices at the expense of unsuspecting authors. Many fail to deliver even the basic editorial or publishing services provided by reputable journals or the networking value provided by legitimate congresses. Beyond the implications for authors in terms of cost, credibility, and reputation of being associated with these predatory journals/congresses, they also rob the scientific community of timely access to research. So what steps can we take to protect ourselves from their predatory practices? 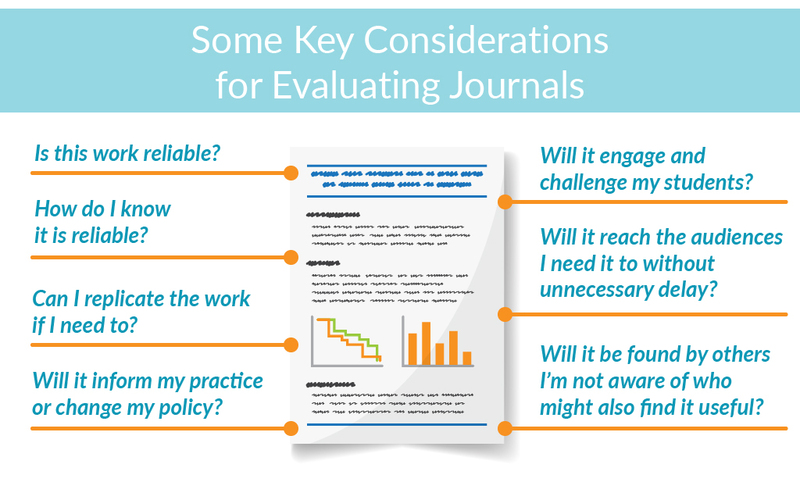 To provide you with a framework for making your own assessments, below are 8 criteria I use to evaluate the probable legitimacy of journals or congresses based on their websites. Try not to put too much emphasis on a single item, but if a journal/congress website falls short on more than one, you may be dealing with a predator. Less is more! Legitimate journal/congress websites typically have a “clean” look. Conversely, predators often have a “busy” look and inconsistent font choices, poor text and photo alignment, bad line breaks, and a plethora of animations. In short, they look amateurish. Scrolling text banners at the top of the page are especially suspicious. Beware if contact information uses free email providers such as Hotmail or Gmail. Although small international journals/congresses can be perfectly legitimate and still have a few English-as-a-second-language grammar and usage errors, a large number of typos and grammatical errors is a clear red flag. Also, look for sections that are riddled with errors alternating with error-free sections; this may be a clue that some content was plagiarized. Designers of many predatory websites seem unable to reduce photo sizes proportionally, leading to “squashed” images. Also, be suspicious of a small journal/congress with a large number of alleged editorial board or faculty members, or “rock star” names in the field. These people probably are unaware they are on the website, and their photos may have been captured from LinkedIn, Facebook, etc. Finally, are photos from a past meeting cropped tightly, in such a way that you can’t tell if there were 20 attendees or 200? Logos of sponsoring or partnering organizations should be functional hyperlinks. Predatory websites often present a dizzying collage of nonfunctional logo images, some wildly inappropriate for the subject matter of the journal/congress. Look out for that little construction worker! Legitimate websites should have complete content. For example, a journal editorial board that is “Coming Soon” or an impending congress with venue information still “Under Construction” is likely a predator. Additionally, journals or congresses with an extremely broad focus, perhaps combining medical and physical sciences, are likely predators. Can you make your own travel arrangements if you prefer? Required use of preferred travel and accommodations vendors is a red flag for congresses. Such companies are usually owned by the sponsoring organization. Look for clear statements of all registration costs and refund policies. Look for a secure mechanism for credit/debit card payments (lock icon in the URL), and avoid sites that merely provide bank transfer information. A very devious tactic predatory journals and congresses often use is to craft a name very similar to that of a legitimate counterpart, or to “clone” the content of a legitimate website, or to associate their predatory journal with a legitimate one on the same site. Often they just add a word, such as “American” or “International,” to a legitimate journal/congress name. Unmasking these frauds can be very challenging. Predators will often spoof a location in the United States or Europe, but there are web tools that can trace the true location of the web domain housing a website. You can also use Google Earth to check the street address and make sure it is not simply a house or a storefront. Be cautious if the address given is in Delaware, as incorporation laws make it easy for an overseas predator to register a business there. Finally, network with your senior colleagues. Has anyone ever heard of this journal or congress? Have they published in the journal or attended a meeting? Were their experiences positive? A little due diligence upfront will pay off in the long run to ensure you get the most from your publication and congress experiences. Although the tips I’ve provided here may give you some objective evidence regarding the legitimacy of a journal/meeting, your instincts are also valuable. If it feels wrong, it probably is. Chris Winchester is Chief Executive Officer of Oxford PharmaGenesis, an independent health science communications consultancy with a strong heritage in publications. Now in its 21st year, Oxford PharmaGenesis employs over 250 communications professionals in Europe, North America, and Asia Pacific. Additionally, Chris is Chair of ISMPP and is an Associate Member of Green Templeton College at the University of Oxford. Chris was a founder of Open Pharma, has led the development of the AMWA-EMWA-ISMPP Joint Position Statement on the role of the professional medical writer, and has been involved in collaborative research on the value of professional medical writing support. He has a doctorate in biochemistry and has co-authored articles in the fields of cardiology, gastroenterology, and respiratory medicine. Martin Delahunty, BA, MBA, is a former Global Director within the Open Research Group of Springer Nature with extensive experience of open access publishing models. At the end of 2017, he founded Inspiring STEM Consulting, an independent agency and consultancy providing strategy, communications, and engagement services for institutional clients including publishers, universities, pharmaceutical companies, and industry who are focused on science, technology, engineering, and mathematics (STEM). Martin is a past Secretary and Board of Trustee Member of the International Society for Medical Publication Professionals (ISMPP) and a regular speaker on publishing innovation and best practices at meetings of ISMPP, European Medical Writers Association, The International Pharma Publishing Association, CBI Pharma Forum, Asia Pacific Association of Medical Journal Editors, and UCB Pharma. Paul Wicks, PhD is Vice President of Innovation at PatientsLikeMe, an online community for people living with medical conditions. Specialising in the conduct of clinical research using the Internet, Paul is responsible for shaping the scientific validity of the PatientsLikeMe platform and generating insights from personal health data shared by members. This sharing of online medical data has led to more than 100 studies, including a patient-driven observational trial of lithium in amyotrophic lateral sclerosis (ALS), digital tools to develop patient-reported outcome measures, and to support friendship between patients, and methods for patient-centered and virtual clinical trial designs. He sits on the editorial board of several journals including The BMJ, BMC Medicine, and The Patient. Prior to joining PatientsLikeMe, Paul worked at the Institute of Psychiatry (King’s College London), studying cognition and neuroimaging in rare forms of ALS, and the psychological consequences of Parkinson’s disease. In 2011 he was awarded MIT Technology Review’s TR35 “Humanitarian of the Year” award and was recognized as a TED Fellow in 2012. Richard Smith is Chair of the board of trustees of icddr,b (formerly the International Centre for Diarrhoeal Disease Research, Bangladesh) and Chair of Patients Know Best (a company that brings all medical and social care records together in one place under the control of patients). From 2004 to 2015 Richard was the director of the UnitedHealth Chronic Disease Initiative. From 1979 to 2004 he worked at the BMJ and was the editor of the journal and chief executive of the BMJ Publishing Group from 1991 until he left. A member of the board of the Public Library of Science from 2004 to 2011, Richard continues to blog for the BMJ and to publish regularly. He is an adjunct professor at Imperial College Institute of Global Health Innovation. Having qualified in medicine in Edinburgh in 1976, Richard worked in hospitals in Scotland and New Zealand before joining the BMJ. He also worked for 6 years as a television doctor with the BBC and TV-AM and has a degree in management science from the Stanford Business School. Richard was made a Commander of the British Empire in 2000. Catriona MacCallum is Director of Open Science at Hindawi. She has more than 19 years’ experience in scholarly publishing and 14 years in open access (OA) publishing. Catriona worked initially for Elsevier before joining the open-access publisher, PLOS, in 2003, initially as a professional editor and then leaving as Advocacy Director in 2017. A current member of the EC Open Science Policy Platform, the Universities UK OA Efficiencies Working Group, and the UKRI Open Access Practitioners Group, Catriona also serves on the advisory boards of OpenAire and the Royal Society (Publishing), and she is Chair of the OASPA Policy Committee. She is also on the steering committee of the relaunched DORA initiative and is a founding individual of the I4OC campaign. Patty worked in genetics research before assuming the positions of Executive Managing Editor, Manager of Program Operations, and Managing Editor at various bioscience journals; she also facilitated setting up editorial offices and was a consultant for other scientific journals and technical publications. She joined Neurology in 2007 and facilitated the launch of 3 spin-off journals and the addition of numerous new editorial features. She is immediate past-president of the Council of Science Editors (CSE) and previously served as Editor-in-Chief of CSE’s publication, Science Editor. She serves as a faculty member for CSE’s short courses in publication management and publication ethics and has established a publication ethics short course along with editors’ courses in Brazil and South Korea. She has developed seminars on publication ethics and misconduct, authorship criteria, ghostwriting, conflict of interest, Web design, open access, and other topics for publication professionals.